RING - SARAH COVENTRY. "HERITAGE" FROM 1976. 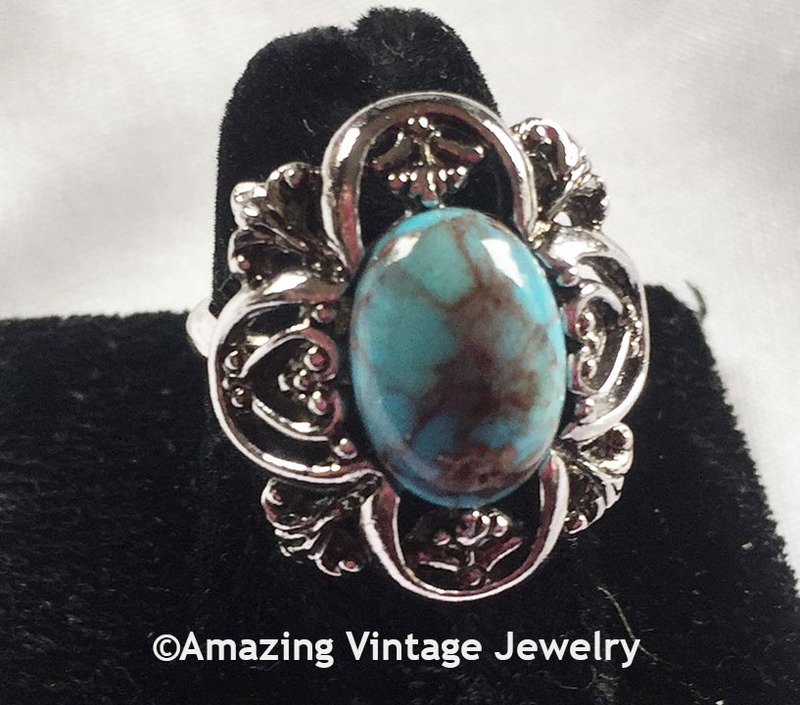 ANTIQUE-LOOK SILVERTONE WITH FAUX TURQUOISE CENTER THAT LOOKS LIKE REAL TURQUOISE. ADJUSTABLE. 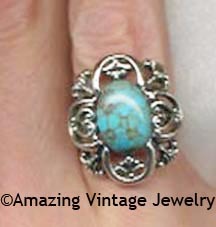 RING TOP IS 15/16" LONG, 7/8" ACROSS. VERY GOOD CONDITION.